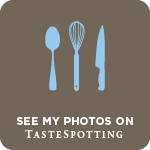 Sugar & Spice by Celeste: A Wickedly Delicious Evening + Chef Frank Stitt! Well, the big night was last night. 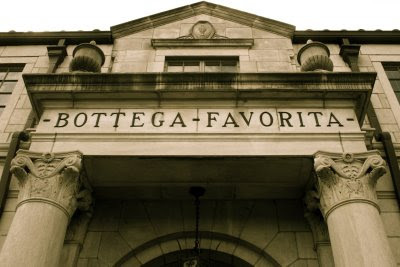 Brad and I got all dressed up and went to dinner at Bottega. We are so lucky to have one of the best chefs in America right here in Birmingham, AL. 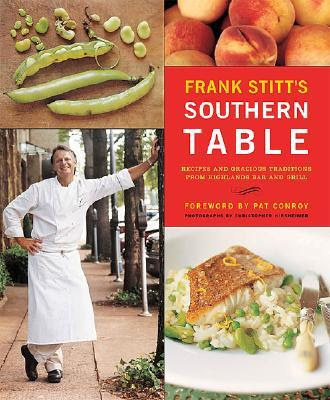 You may have heard his name - Chef Frank Stitt. 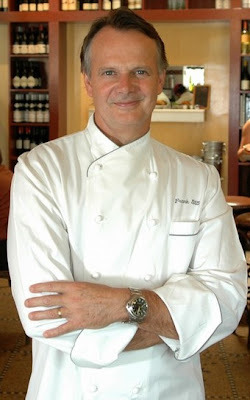 Frank Stitt has received accolades from Gourmet magazine, the Discovery Channel, The New York Times, the James Beard Foundation, and he was recently named one of the culinary "Legends of the Decade" by Bon Appetit magazine...pretty darn impressive, huh?? 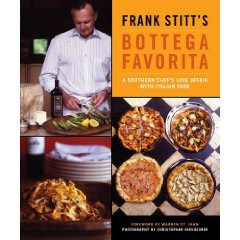 I have an autographed copy of his first cookbook, "Frank Stitt's Southern Table", which is equally as fabulous as the companion book - "Bottega Favorita". Everything was absolutey delicious. The meal was kicked off with scrumptious, warm bread, the finest olive oil, and a divine little plate of assorted olives. The parmesan souffle just melts in your mouth...the prosciutto and mushrooms balance it out perfectly and add texture. The Chicken Saltimbocca was pan-seared to perfection and the classic prosciutto/sage combination makes a heavenly marriage on the plate. Brad and I shared the dessert...and let me just say that this chocolate cake is so divine that it's sinful! The inside of the cake is nothing but oozy, delicious chocolate. The candied pecans at the bottom of the plate and the ice cream leave you wanting more! The highlight of dinner for me, was certainly getting to meet Frank Stitt himself! From across the room, I thought that I saw him at the bar....but, I could only see his profile so I wasn't positive. I had read that he was usually at one of his other restaurants - Highlands Bar & Grill. So, I wasn't really expecting him to be there (I was secretly hoping he might be!). After finally deciding that it was him after all, Brad asked our wonderful waiter if I could meet him. He said "I'll see what I can do." After only a few seconds, out walks Frank Stitt...to our table! I was SO excited!!! 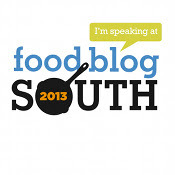 Chef Stitt was so nice...we talked about our recent trip to Europe and I even mentioned my little food blog. I can't believe I didn't get a photo with him, though! I wish I had. So, we arrive at the theatre and I go straight to the souvenir line...I'm such a dork! There was a t-shirt that I wanted. You can see it HERE. After securing a shirt, we raced in to find our seats. We thought our seats were in the 5th row...and we were REALLY excited about that. But...our seats were actually in the 2ND ROW! Can you believe that? I was beyond excited. The show was AMAZING. If you ever have a chance to see Wicked, please don't pass it up. Everything from the acting to the songs to the props and costumes was just incredible.